The 500 affiliates and operators who take up this offer will benefit from a stay in a 5-star room at the Hilton. Guests will also enjoy a full complement of VIP networking dinners. Prepared by some of the best chefs in the industry and held at some of the most exclusive restaurants on the island, diners will have plenty of chance to connect with fellow industry dignitaries as they take in some of Malta’s finest views. 2018 saw the 5th incarnation of the show surpass all expectations – setting the standard for future events. With some of the biggest brands in the industry signing on to exhibit and sponsor at SiGMA’s premier event, and a record-breaking 12,500 delegates welcomed through its doors, the expo has cemented itself as a solid fixture on the world’s iGaming calendar. The three-day-affair saw a wide range of topics discussed at a high level during the six conferences and workshops, with a number of prominent speakers taking the stage. From the interplay of blockchain with iGaming, to a conference dedicated to the regulatory changes in iGaming law – delegates were treated to quality debate on some of the most pressing issues affecting the sphere. SiGMA Pitch also made a triumphant return, providing a space for innovative young start-ups to gain valuable exposure on the expo floor, score exclusive invites to networking events, and reel in potential funding and mentoring from industry veterans. Since its inception, the flagship show has evolved to become a global influencer on the iGaming world stage. If last year’s numbers are any prediction, 2019 is set to smash all previously held records, giving the company’s ambitions plenty of space to play out. 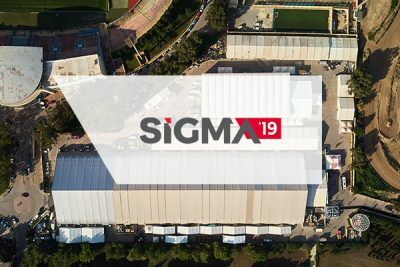 There can be no doubt that as Malta continues to position itself as a haven for industry, SiGMA has found its niche within a booming economy. 2019 will continue to see the high-levels of quality the sector has come to expect, creating opportunity for industry players to contribute to the wider conversations affecting the iGaming sphere and encouraging business to flourish on the islands. 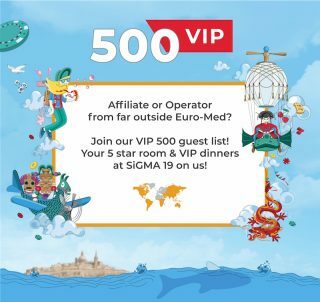 If you’re an affiliate or operator based outside the Euro-Med, contact Luba, (affiliates) and Roberta (operators) to join our VIP 500 guest list.